Have you ever felt like there are times when prayer doesn’t work, or God seems distant? In my own Protestant tradition there isn’t a whole lot written about the times we fail to find God or struggle with doubts. In fact, our focus on being saved or unsaved may even create a dynamic where we see faith as a switch that’s either on or off, and if things aren’t working, we fear that somehow we’ve lost our salvation or God isn’t real after all. We don’t have much of a grid for seasons of struggle, depression, and loneliness. Some have been told that God is either real and capable of showing up when we pray or God’s fake and will not show up when we pray, but there’s a third option. God can be both real and not present for a season. I have sensed the joy of the Lord when I do certain things. I’m well aware of God’s guidance for specific things in my life. However, there are many days when I don’t get a clear sense of God’s direction. Some days are lonelier than others when I pray. I’m stuck with persevering by faith based on what God showed me. Some traditions see this season of alienation and darkness as a bad thing. It certainly can be that. I don’t think anyone should feel alienated from God . However, these situations are not without precedent. We’re in good company if we have a season of darkness or emptiness. If we’re always praying for spiritual breakthroughs and come up empty, we need to stop and ask what God is teaching us in this season of loneliness and silence. Sometimes a time of waiting and anticipation can be just the thing we need even if it’s not what we want. Oftentimes the seasons of my greatest needs, doubts, and struggles have made me more reliant on God than any other and have strengthened my faith in ways that I never anticipated. That isn’t to say that we should crave a dark night of the soul or downplay how difficult one can be. Rather, we fail to see that God can even use these seasons for good. All is not lost if God seems distant. 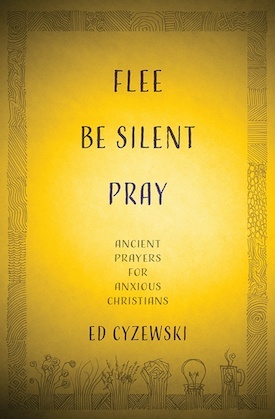 Today’s post was adapted from the chapter on prayer from A Christian Survival Guide: A Lifeline to Faith and Growth. [i] Daniel Trotta, “Letters Reveal Mother Teresa’s Doubt about Faith,” Reuters, http://in.reuters.com/article/2007/08/24/idINIndia-29140020070824 (accessed July 31, 2013). [ii] Shona Crabtree, “Book Uncovers a Lonely, Spiritually Desolate Mother Teresa,” Christianity Today, http://www.christianitytoday.com/ct/2007/augustweb-only/135-43.0.html (accessed July 31, 2013). See also Mother Teresa, Come Be My Light: The Private Writings of the Saint of Calcutta, ed. Brian Kolodiejchuk (New York: Doubleday, 2007).